Attention Artists – Win a Free Two Night Stay in Frisco Colorado! Holiday Inn Summit County in Frisco, CO is Giving Three Lucky Artists A Free Two Night Stay During Selected Howard Alan Event Shows! Winners will receive a two night stay!!! 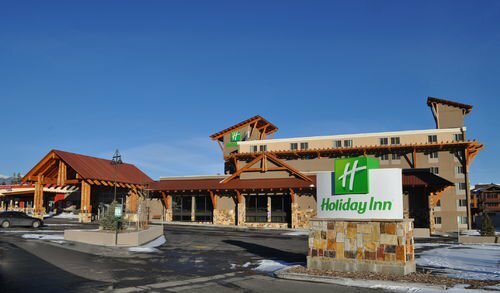 The Holiday Inn Summit County is surrounded by world class skiing, snowmobile tours, and sleigh rides. Only one mile to Frisco’s historic Main Street, where our Downtown Frisco Art Festivals will be held, there are fabulous restaurants, shops and nightlife for you to enjoy. Downtown Frisco is a charming town full of adventure in the middle of Colorado, and you won’t want to miss out! The winners will be announced on May 25th, 2012! You MUST be a participating artist at one of these shows to qualify to win. Include the artists name, phone number, and the show(s) you are participating in. 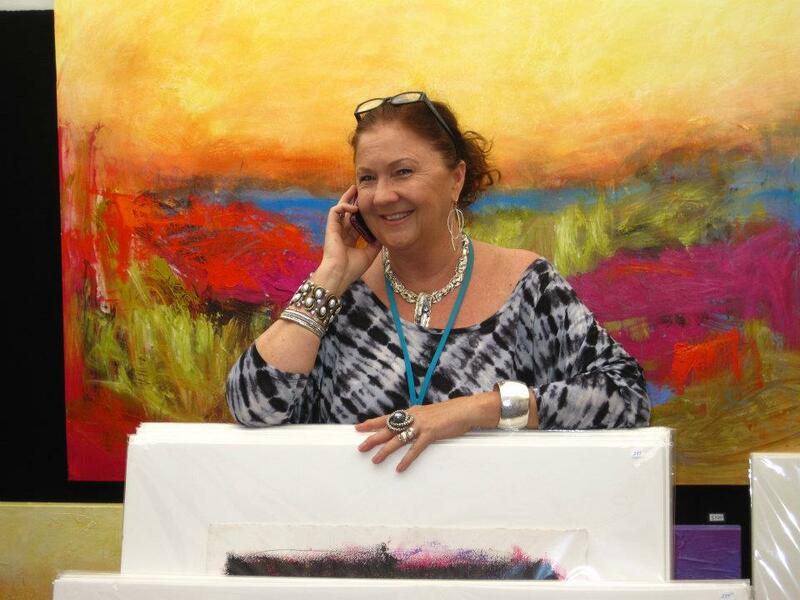 Sharon Westbrook is a professional contemporary abstract artist, working full time in her studio in Jacksonville, Florida. Born and raised in Aiken, South Carolina, she moved to Florida in 1978 where she graduated from the University of North Florida with a Bachelors of Fine Art degree. She uses bold colors and has a strong expressionistic style in her work that has won her numerous awards in juried shows. Her work is filled with a passionate energy and loves when the viewer can find their own connection and interpretation of her art. 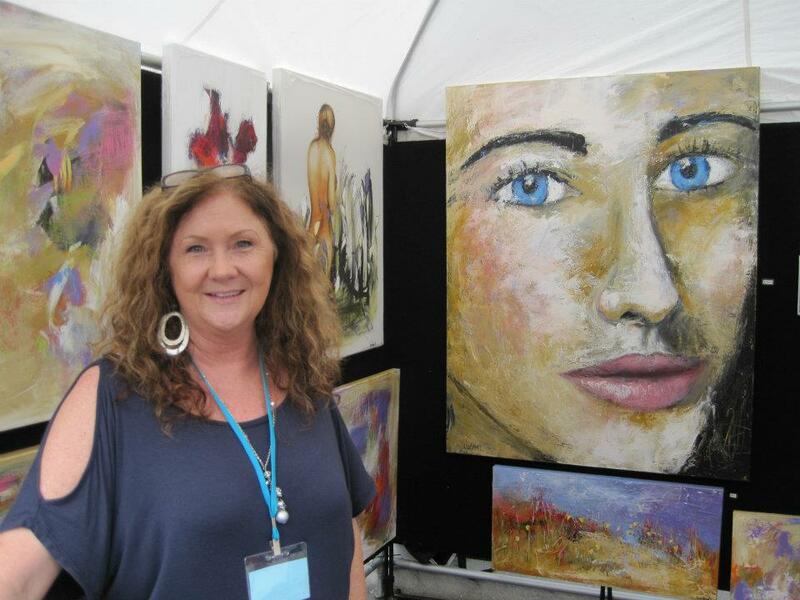 Sharon exhibits in many Howard Alan Events Art Festivals. She creates custom pieces as well. 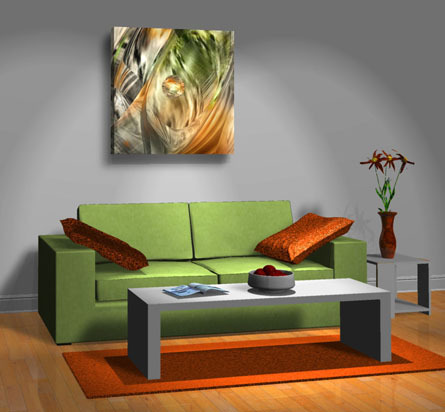 Sharon can come to your home or office with her portfolio to create an artwork to fit your budget, decor and personal taste. 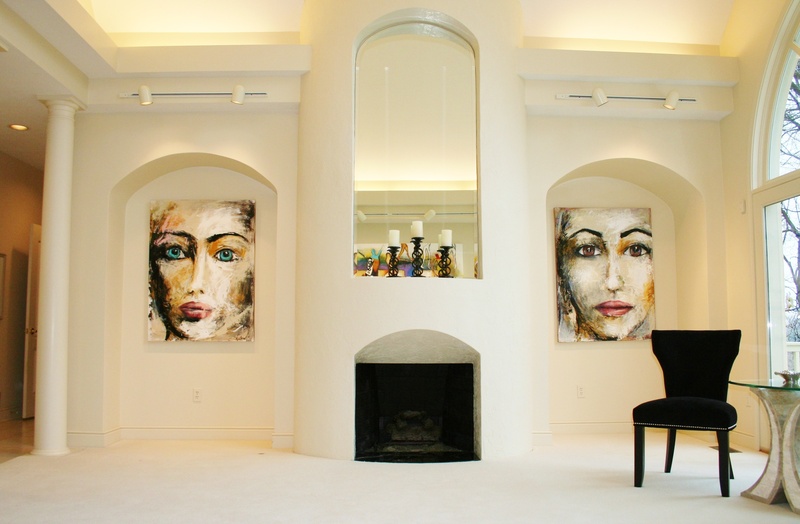 Florida Architecture Magazine featured a Fort Lauderdale home showcasing Sharon Westbrook’s art in the main living area. A piece of her art was selected for a bronze sculpture on display in Jacksonville, Florida. Browse her online gallery here. Here are some examples of Sharon’s work proudly on display on the walls of some of her art fans. Today is the 60th Anniversary for “Administrative Professionals Day.” Although this is not a legal holiday, it is defiantly one to be recognized. If you are an artist, you know how important administrative skills can be. You create and produce amazing, one of a kind artwork- but then what? Its exhibiting, show schedules, show fees, ordering supplies, travel, lodging, budgeting- the list goes on. So if you are lucky enough to have your own administrative assistant- or perhaps its a spouse, relative or even your own self! Make today be an opportunity to reflect on the contributions of this person and let them know how much you appreciate them. Looking For Something New…Don’t Look Far! 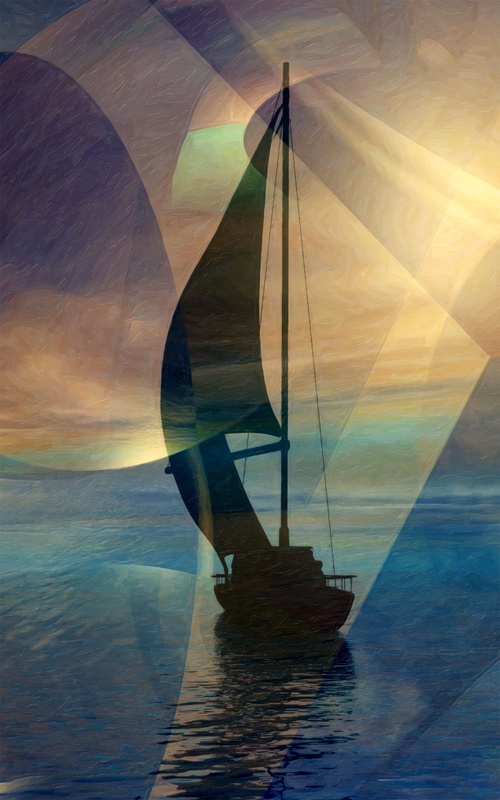 Howard Alan Events has many new artists attending our upcoming summer art shows and their work is must see!!! Glynnis Miller is a self-taught pencil artist who began drawing at a young age, winning her first award in 4th grade! 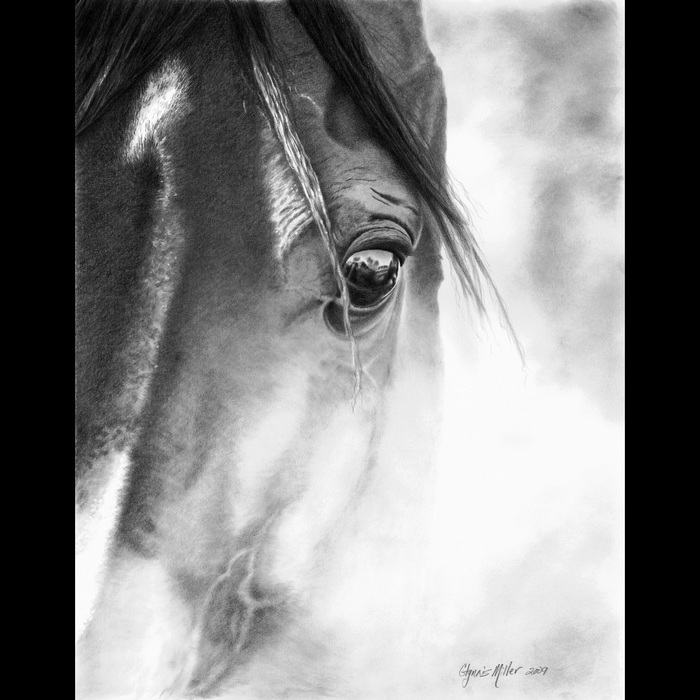 Glynnis’ work portrays her lifelong love of horses and the western lifestyle. The ranching community of Elko, Nevada was Glynnis’ home during her school years and the influence of Elko’s ranches, cowboys, rodeos and (of course) horses is evident in her artwork. She has owned and ridden horses for some 30 years an they hold a special place in her life, heart, and art. Glynnis is now enjoying her first two loves, horses and drawing, and building them into a rewarding second career with multiple honors and awards. The pencil, graphite or charcoal, is Glynnis’ medium of choice. Each drawing is meticulously planned and the result of hundreds of hours with the tiny tip of a sharp pencil. Patience and focus are a requirement with this simplest, yet complex medium. See more of her work at http://www.glynnismillerart.com. 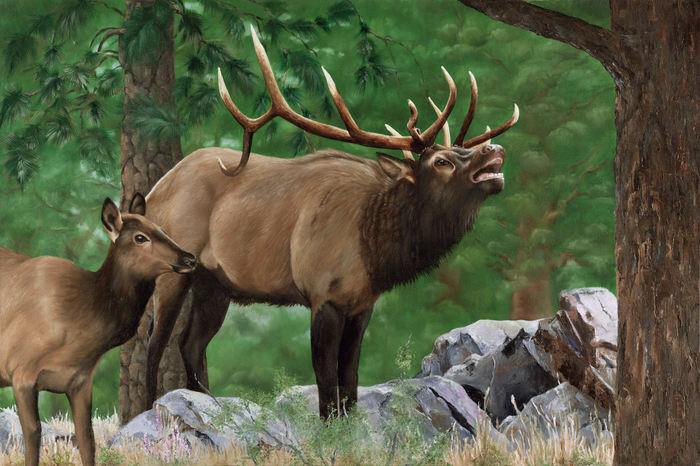 Kathleen Kirch has a passion for wildlife, sunsets, the mountains and flowers. My painting history has been sixteen years with the Decorative Artists Association. She traveled a lot growing up and loved visiting Nation Parks along the way. “I hope to inspire people to appreciate the world and to enjoy what it has to offer through my work.” Kathleen’s oil paintings are beautiful and capture vivid moments in nature with her attention to detail. See more of her work at http://www.kathleenkirch.com. These are just a couple very talented new artists we will have at our shows. 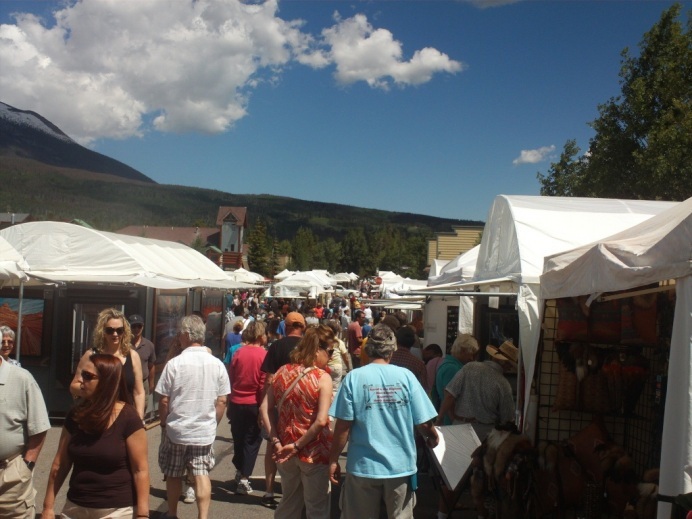 Please see our website for a full list of dates and locations at www.artfestival.com. We look forward to seeing everyone over the summer, you won’t want to miss out! Scott J. Menaul is an abstract artist with a unique creative process. 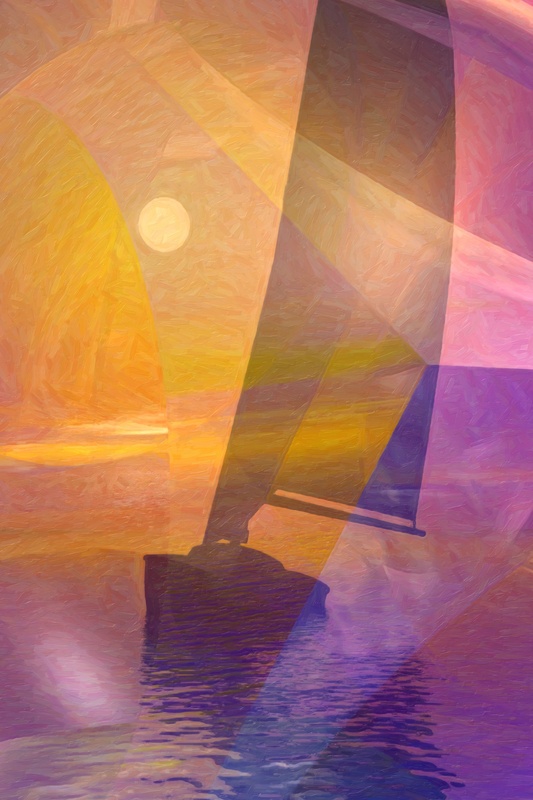 His methods allow him to customize artwork, changing colors, dimensions and composition. Each work tells a story which varies from person to person. “The most exciting artwork, in my opinion, is artwork that compels the viewer to participate in it; that is why I love abstract art,” says the artist. Influenced by his interests in math and science Menaul’s work combines color, patterns and forms for unique images that never fail to impact the viewer. Here is an example of Scott’s customizing process, he describes how he made one patron very happy. One of our clients saw “Abstract Jungle” last month at an art festival in Chicago. 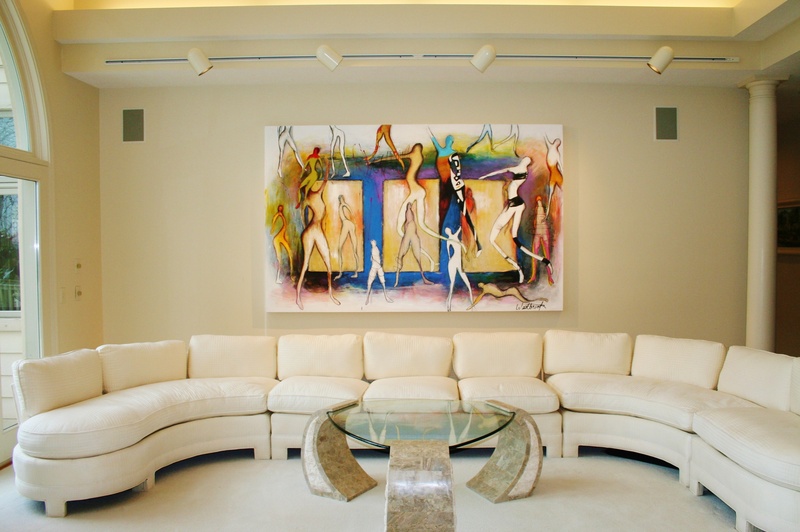 She loved the piece, but it didn’t work in her living room. If it were square, and if it had green and orange; then it would work! I told her, “No problem. Tell us what colors you need and we’ll change the artwork.” She called me later and said that the green was “Meadow Twilight 6006-8C.” We got the color swatch locally from the same supplier and changed the artwork using that green. We sent her a paper proof printed on the same printer that we use to print our canvases. She received the proof the next day and loved it. We proceeded with the production of her custom colored canvas version of “Abstract Jungle” and shipped it the following week. We couldn’t get a photograph, but here is a 3D rendering of the color scheme. 1. Look through our online gallery and choose your favorite pieces. 2. Send us your color information, such as paint colors, fabric samples, etc. 3. 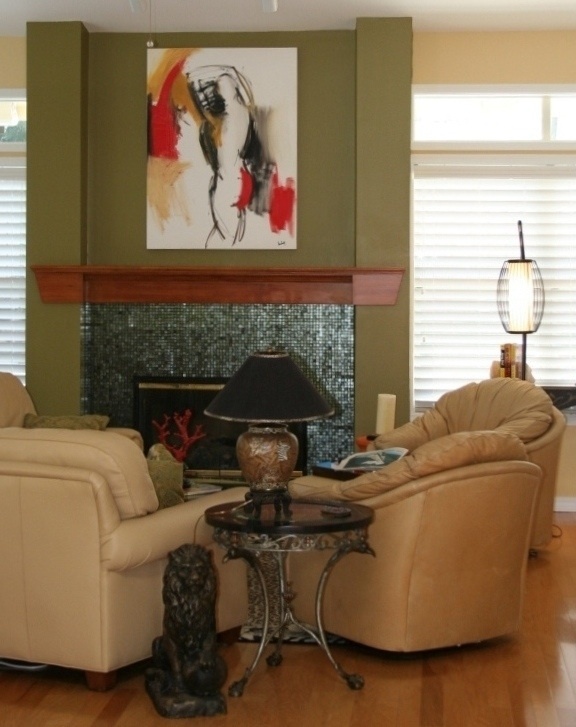 If possible, email us a picture of the room you want the artwork in. 4. Scott will create a concept for you and post it to a private web page. If you sent a picture, he’ll also place the artwork in the photo of the room so you can see if it fits well. 5. Once approved, you’ll be sent a color accurate paper proof so you can see it in your environment. 6. Once that’s approved, we’ll create the finished piece on canvas and ship it to you. We are looking forward to working with you to create a custom piece that matches the colors, size, mood and style to enhance your home or office. Still have questions? Call us at 877-257-9199. Are you on Pinterest? We are, check out our boards at http://pinterest.com/artfestivals/. If you have a great story of finding a piece of art for your home from a Howard Alan Event Art Festival send a picture to nicole@artfestival.com, you will be featured on our Pinterest board and Facebook. All artists at some time or other feel a creative block. Finding something to break free from these obstacles can be challenging and discouraging, but it can be done. Sometimes introducing new stimulation to the situation is enough to get you on a roll that may take you down a new creative path. If you feel stagnant in your artwork and need to freshen up your artistic direction, here are a few ideas to help get your creative edge back. Broaden your horizons. Read new books and go to new places to experience things that may inspire you. Go to the library and browse through the art history books, old fairy tales (look at the illustrations,) and read stories of lore and legends. All of these things will get your imagination going and inspire you to pick up a paintbrush or other tools used in your genre of art. Use guided imagery. 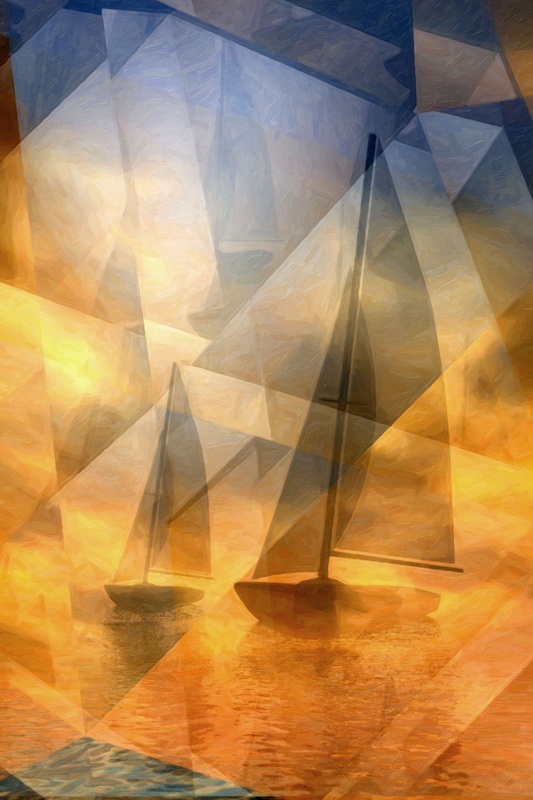 Guided imagery is a technique where people are led through a story using words and images. This is meant to encourage them to express themselves through words, art or music. People have successfully used guided imagery to overcome depression and anxiety, but you can use these techniques to get rid of your artistic blocks as well. Go to an art fair. Nothing is more inspiring then seeing the works of others and you can see some really unique items and find new ideas get you going. If you are a painter, you may be inspired to try collage work; a sculptor may want to try making jewelry! Be inspired by the genius of the others in the artistic community and set your imagination free. Pick up a new skill. Take a class at your community college to learn some new techniques or a whole new art media to get your creative juices flowing. The assignments may help trigger a new style or theme for your work that can keep you working for months. ­Carry a sketchbook or camera. You never know when inspiration may strike. You may discover something by accident one day or pass something on the street. An image may just pop into your head. If you do not have a means of capturing that moment, you may lose it. Try to carry a pocket-sized sketchbook with you so you can sit down and draw what inspires you at that moment. You could also carry a camera with you and just take a quick snapshot. 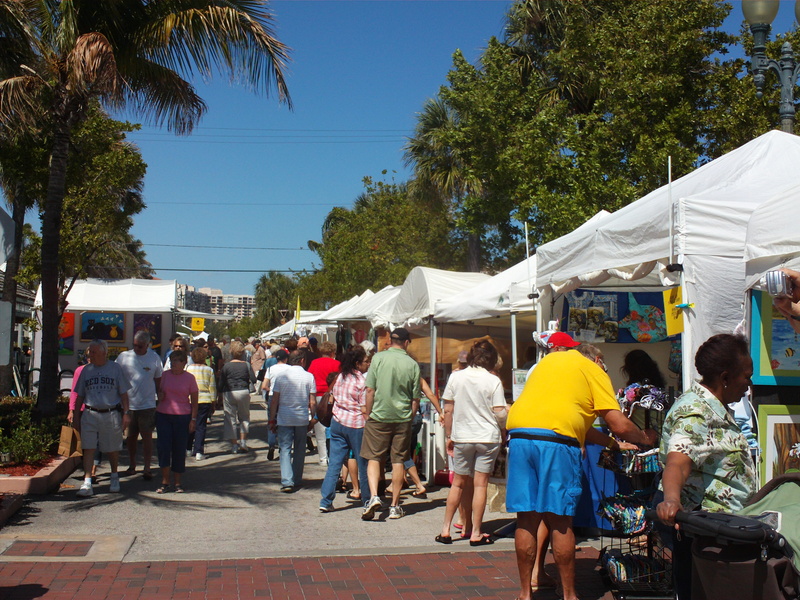 Lauderdale by the Sea Craft Festival is BACK and here to STAY! American Craft Endeavors is excited to announce that The 14th Annual Lauderdale by the Sea Craft Festival will be returning on it’s original October date and downtown core location. We have been working hard with the Chamber of Commerce and The City for this comeback and they are 100% behind us in keeping the original dates and location. The Festival will take place October 27th & 28th, 2012 on the streets of Lauderdale by the Sea at The A1A and Commercial Blvd. We hope you are as thrilled as we are to be back at this amazing venue! We look forward to seeing all our loyal festival-goers there and encourage all crafters to apply! Please note: The Coconut Creek show that was originally scheduled on this date has now been cancelled.